2012 Hero Story 2 – K’La Gonzalez – District 5 United! 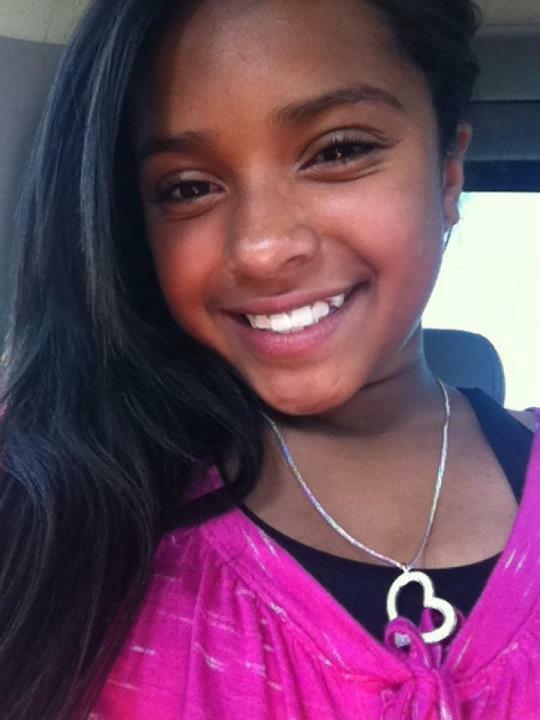 2012 Hero Story 2 – K’La Gonzalez: The following story was submitted by community member Nikki Gonzalez. Use the social media icons above to share this hero story or leave a comment at the bottom of this page. You may also share this story using Twitter hashtag: #d5heroes2 or short link http://bit.ly/JCDKDX. Click here to submit your own Hero story. According to Nikki: I know most people would say their Hero is their parents, teachers, coaches or even siblings. My Hero is my daughter K’La Gonzalez. My daughter just turned 13 and I must say I would’ve never thought she just became a teen. Most parents would say that their young ones are older than what they are by their attitude. I can truly say that K’La is a very mature 13 year old. I call her my old soul because it seems like she has been here before. Why is k’La my hero, let me start with her at birth. I was in labor for many hours to find out her umbilical cord was wrapped around her neck and close to loosing her. As doctors rushed to save our lives, I finally gave birth to K’La Amistad Gonzalez. Over the years she has amazed me with everything she does, talking at 8months, walking at a year, potty trained soon after walking . K’La became a big sister 28 months later to her brother Jorge Jr. While in the delivery room with Jorge and K’La she looked at me with the biggest smile and said” I’m not the baby anymore, baby Jorge is and he’s gunna need this”as she handed over her pacifier. From then on I have noticed a different K’La. At the age of 5 we enrolled her into a dual language school named Adelante. K’La is currently in the 7th grade and still attending Adelante with a 3.0 gpa. K’La became a cheerleader for Pop Warner in 2005. In K’La’s Pop Warner experience she has received 5 scholastic awards and has made it to C heer Nationals twice. In 2012 K’La has taken her talents to a higher level in cheerleading and decided to join a allstar cheer group named Legends Elite where her and her teams placed 1st many times. K’La also did modeling at the age of 5. She had two very exciting auditions call backs from Nickolodian and Disney. She was selected to go to NY to compete with other models and win scholarships but K’La turned this offer down because she said “I like auditioning for commercials for fun”. K’La has also played softball and had an interest in music to take guitar lessons. A month before K’La turned 10 she was diagnosed with type 1 diabetes . I will never forget that day. K’La had been sick for a few days and finally her dad and I felt we should take her to the doctor because she wasn’t getting better. That early morning was very disturbing to me. I woke to see my daughter so pale, in pain and unable to walk and barley any energy to talk. We rushed her to the hospital to hea r the news of K’La and to be told if I would’ve waited for h! er sched uled appointment I would’ve lost her. K’La was hospitalized for a week and was released with a different life. K’La no longer felt normal because no one that she knew had diabetes . As a child this life style is very hard, checking your blood every two hours and eating appropriate foods so you can remain healthy. A lot of people are not educated in diabetes to understand what they go through. I am very proud of my daughter. I watch her everyday with her challenge, having to look at labels to watch her carbs, having people stare at her because she has to inject insulin, having to stop everything she’s doing because she needs to eat or check her blood sugar. Unfortunately, K’La was hospitalized again three years later. K’La was depressed and wasn’t taking good care of herself. When asked why she wasn’t taking care of herself she replied” I’m not normal and I’m tired of being like this”. As tears rolled down her face all I could do was hold her and tell her “who is normal”? She was hospitalized for a week to get her back to normal. I don’t know if it was the visit or what I said but she woke on her last day at the hospital and told the doctor and nurse she will never be back because she has a life to live. That day on she has had amazing numbers and no more visits to the doctor. K’La has been a scholar athlete for 8 years a diabetic for 3 years and a lovely person her whole life. Yes, K’La is my hero she has faced many challenges that many people would’ve given up but she keeps thriving to be on top with anything put in front of her. I love you K’La and I thank the Lord every day for my hero.